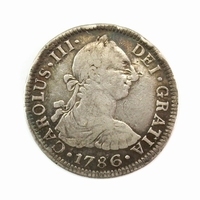 This silver sixpence of 1787, made by Luis Pingo has the reverse without a semme of hearts. Obverse: Laurate, draped and cuirassed bust of King George III right. Reverse: Four crowned shields with the arms of England and Scotland, France, Hanover, Ireland in the form of a cross, crowns in between and a Garter Star in the centre. Date 1787 below. 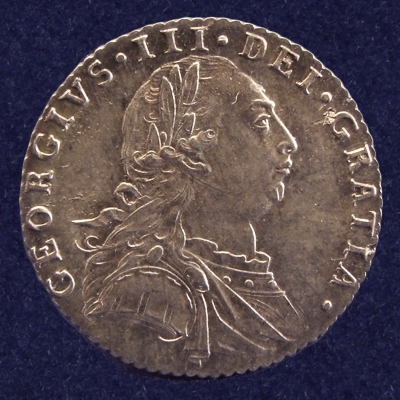 Legend: M B F ET H REX F D B ET L D S R I A T ET E.
Silver sixpence, also known as tanner or half-shilling, used in England between 1551 (reign of Edward VI) and 1971. 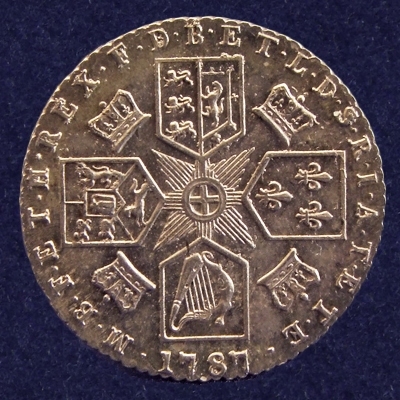 For the Sixpences issued during the reign of George III there are two different obverses and three different reverse types.